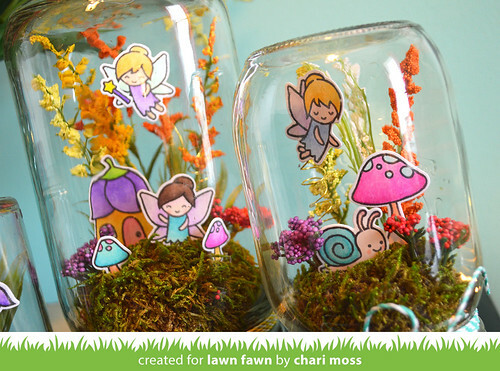 Today I have a video tutorial over on the Lawn Fawn Blog show how to make these super cute and super fun Fairy Jars (or Fairy-ariums if you will). 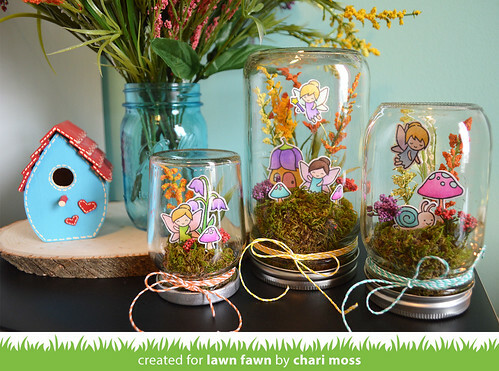 I made some of these for the Lawn Fawn CHA booth and they were a big hit. 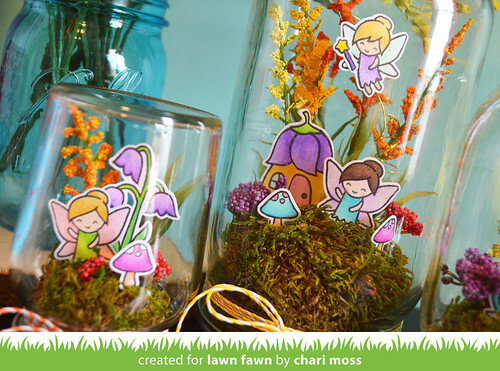 :) You can check out the tutorial HERE on the Lawn Fawn blog or HERE at their YouTube Channel. I love these so much. I can't wait to make a few. 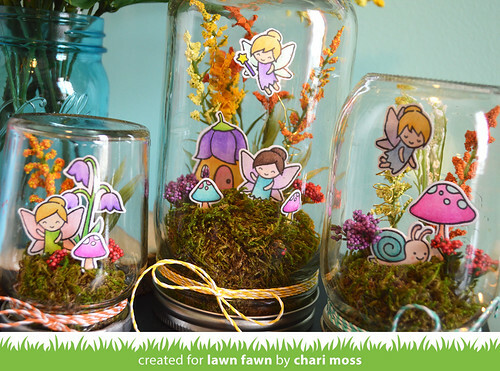 I had to tell you that the fairy jars are truly one of the cutest projects I've EVER seen! I want to make one for my grandaughter and myself! Thank you so much for the information! These are amazing! Thank you for the inspiration.